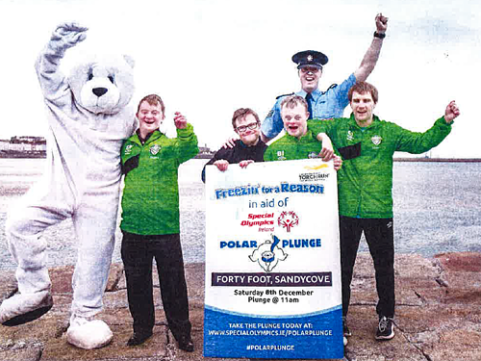 See Cabo Cougars (l to r) Damien Flynn, Charlie O’Reilly, Ben Purcell and Cormac Fenner above as they warm up for the forthcoming exceedingly cold Special Olympics ‘Polar Plunge’ fundraiser, scheduled for December 8. If you’d like to support our lads and get involved in our local, Sandycove, plunge, do please click here and brace yourself! Do you think that it could be colder than a windy winter Kilbogget?